King Edward’s School has today announced the appointment of Dr Katy Ricks as Chief Master. Dr Ricks, who has been the Head of Sevenoaks School since 2002, will succeed Acting Chief Master Keith Phillips in the 2019-20 academic year to become the 33rd headteacher of the all-boys school and the first female Chief Master in its 466-year history. Sevenoaks School, an independent co-educational day and boarding school in Kent, is one of the world’s leading International Baccalaureate schools and the current Sunday Times ‘Independent School of the Year’. During her 16 years at the school, Dr Ricks has also helped to grow its influence in the local community through the sponsorship of Knole Academy and the creation of Kent Academies Network. Educated at Camden School for Girls, Dr Ricks is a graduate of Balliol College, Oxford with First Class Honours in English. 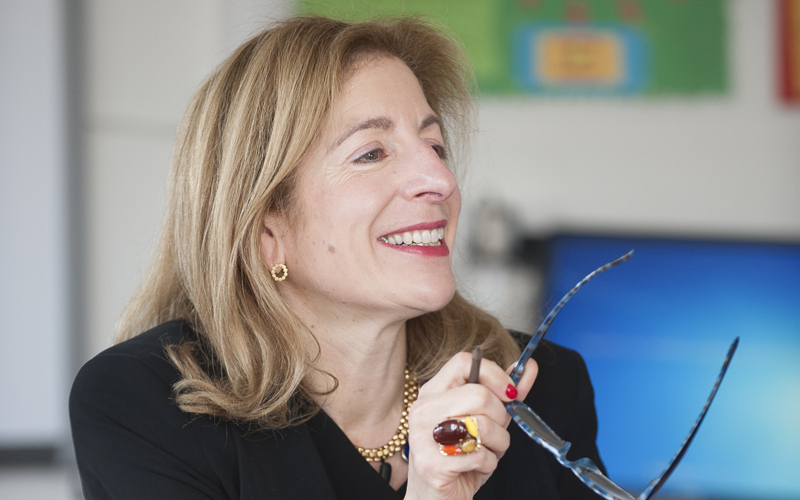 Prior to Sevenoaks, Dr Ricks worked in several leading independent schools, including Latymer Upper School, Highgate School and King Edward’s, where she spent three years teaching English in the early part of her career. On her appointment, Dr Katy Ricks said: “The three years I spent as an English teacher at King Edward’s School remain memorable and were formative in my leadership today. The school’s ethos – scholarly, clever, witty, hard-working, creative – has always stayed with me. The success of King Edward’s School is critical to the fulfilment of the Foundation’s broader mission: to provide the highest possible quality of education for the children of this great city. King Edward’s School has an outstanding academic reputation with up to 90% of GCSE entries being graded A*/A (9-7) each year. In the sixth form, all boys study the International Baccalaureate Diploma, of which on average half score 40 points or above, equivalent to four A*s at A-level, and around 20 from each cohort go on to Oxford or Cambridge universities. Accessibility is central to the purpose of the school and in recent years over £12.5 million has been raised for Assisted Places, with the long term aim being to secure permanent need-blind admission to the school. This drive for accessibility is supported by the King Edward VI Foundation, which also contributes over £1 million per year for Assisted Places.